We don’t always think about it, but things we do around our home can affect our lakes, streams and other waters. Septic systems that are properly planned, designed, installed, and maintained can provide excellent wastewater treatment for many years, protect public health, preserve valuable water resources, and maintain economic vitality in a community. They are a cost-effective and long-term option for treating wastewater, particularly in less densely populated areas. Septic systems that are poorly designed, installed, operated or maintained can cause problems and negatively impact water quality. 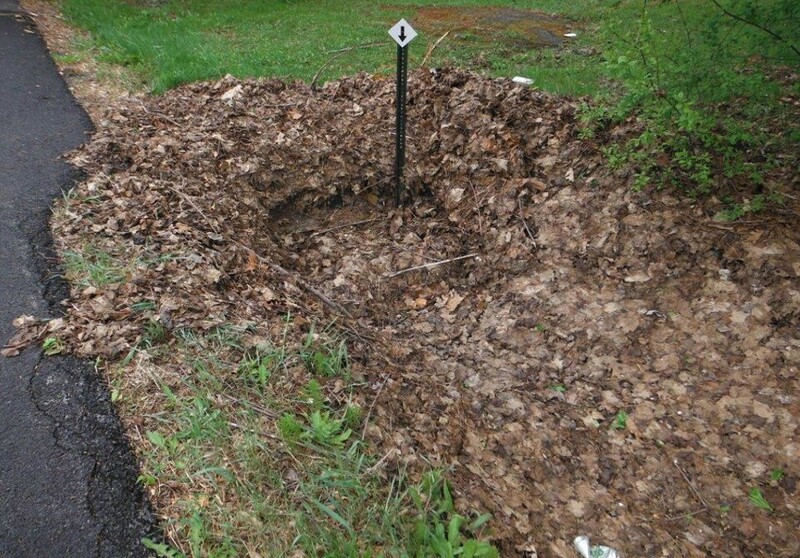 Learn how a septic system works, its components and proper maintenance. Have your septic tank pumped every three to five years. Contact the Cayuga County Health Department if you have problems or concerns regarding your septic system (call 315-253-1405). Improper lawn care can contribute to water quality problems. Fertilizers and pesticides applied on your lawn can end up in lakes and streams polluting the water and promoting algae and weed growth. 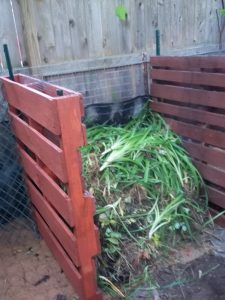 Improper disposal of leaves and grass clippings also contributes to these problems. Some lawn fertilizers contain phosphorus, a nutrient, which is one of the leading causes of water pollution. Most lawns in New York State do not need additional phosphorus for healthy growth. Furthermore, it is against the law in New York State to use phosphorus on lawns unless a soil test proves that the lawn needs it. Only apply fertilizer at the recommended rate. Never apply fertilizer on sidewalks, driveways, or other impervious surfaces. If fertilizer spills onto these surfaces, you MUST sweep it up to prevent it from washing into drains or waterways. Do not hose it off. Never apply lawn fertilizer within 20 feet of any waterbody. Pesticides are chemical or biological substances designed to kill, control, or repel a variety of living things such as insects and weeds. Pesticides can be carried off the lawn by runoff during rainfall and enter storm drains or roadside ditches, ultimately ending up in lakes and streams, and creating a toxic environment for aquatic organisms. When pesticides are used sparingly, and according to the product label, negative impacts to the environment can be reduced. Limit your use of pesticides. Consider using a natural alternative to pesticides. If you must use a pesticide, follow the label instructions carefully. Pull weeds instead of applying pesticides. Change your image of a perfect lawn. Leaves and grass clippings are sources of nutrients. When they are swept or washed into the nearest street or storm sewer, storm ditch, or gully, they ultimately end up in your local lake or stream and cause water quality problems. Do not dispose of grass clippings or leaves in a storm ditch, storm drain or gully. Erosion can be a serious environmental problem when land is disturbed by construction activity and land clearing. When soil is exposed, it can wash off your property during storm events into streams and lakes. Suspended soil reduces the water clarity, keeps sunlight from penetrating waterbodies, and robs aquatic plants, animals, and fish of the light and oxygen they need to live. When this soil eventually settles to the bottom, it encourages aquatic weed growth. Avoid disturbing soil during the rainy and cold seasons. Plan any soil disturbing activities during dry weather in late summer or early fall, which allows vegetation to grow back quickly before new precipitation events occur. Use sediment control structures, such as fabric fencing, around disturbed soil to prevent the soil from running off the site. Before you start construction, review the New York State Department of Environmental Conservation’s Erosion and Sediment Control Plan. Keep disturbed sites small, disturbing only the amount of land absolutely necessary. Runoff should be diverted from erosion-prone areas. Save natural vegetation wherever possible, as a buffer zone and soil stabilizer. Plant temporary vegetative cover (annual grasses or clovers) on sites that must remain exposed during the winter. Use commercial hydromulch, straw or hay to help stabilize exposed or steep areas until vegetation is established. The leaves on trees and shrubs intercepts raindrops and reduce their impact on the soil. Leaf surfaces collect rain and allow for evaporation. Low-growing plants and decaying leaves filter sediment and pollutants from runoff. Deep-rooted systems hold soil in place and absorb water and nutrients. A vegetated buffer is the last line of defense before polluted runoff reaches water. Maintaining or planting a buffer of natural vegetation along a waterbody such as a lake, stream or wetland can stabilize the banks, filter pollutants and slow runoff. Rain gardens can also be beneficial by collecting rain water and letting it be absorbed before it can run into the lake or stream. Pets can contaminate water with their waste if stormwater runoff picks it up as it washes down the storm drains, drainage ditches and into our lakes, rivers, and streams. This pet waste pollutes water because it contains harmful bacteria, viruses and parasites, which can spread disease and cause human health problems. Pet waste is also high in nutrients (phosphorus and nitrogen) which feed the weeds and algae in our lakes. 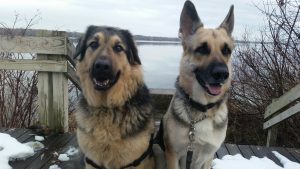 Properly disposing of pet waste may seem like a small issue, but it is a good reminder that we all live in watersheds and what one person does impact the whole watershed and everyone downstream. You can make a difference by being a responsible pet owner and cleaning up after your pet. Pick up your pet’s waste and dispose of the waste in the trash. You can use a “pooper scooper” or plastic bag. Carry disposal bags while walking your dog to pick up and dispose of the waste in the trash. Do not throw your pet’s waste into a storm ditch or catch basin. Do not dispose of pet wastes in your grass clippings or leaves, as this can add bacteria and parasites to that yard waste. If you bring your dog ice fishing, do not leave the pet waste on the ice. Let other pet owners know that it matters and why. Improper disposal of many materials including pharmaceuticals, household cleaning products, and electronic equipment can result in harmful pollutants entering our lakes and streams. Remember that we all live in watersheds and what one person does impacts the whole watershed and everyone downstream. You can make a difference by responsibly disposing of or recycling your unwanted materials. 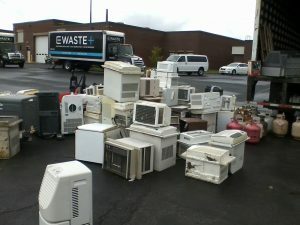 Properly disposing of household hazardous wastes, tires, electronic equipment including televisions and computers, propane tanks, and other electronics through the Cayuga County collection events that are held throughout the year. Learn about recycling in your community by contacting your City, town or village. For additional information contact the Cayuga County Solid Waste Management program at 315-253-1276.